Theresa Wilson is the born and bred American of the Bon Voyage team. Hailing from Milwaukee, Wisconsin she also lived in Phoenix, Arizona and Fairbanks, Alaska before moving to the UK. But she had never travelled to the islands of Hawaii…….. 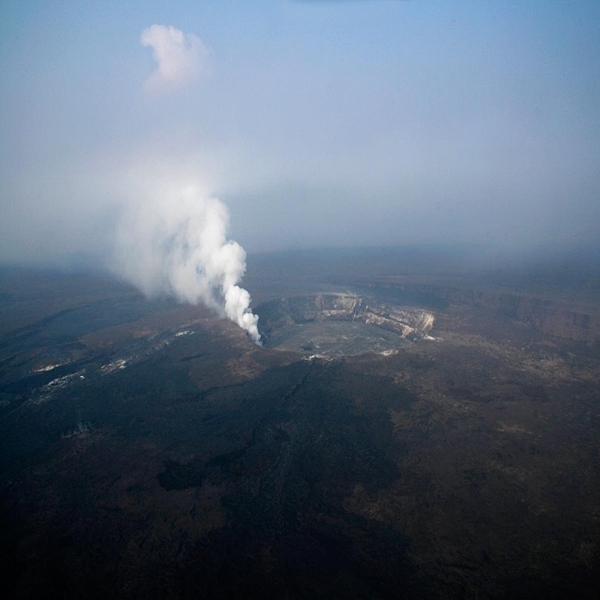 Imagine flying in a helicopter, with no doors, over an active volcano. Hovering so close you can feel the heat. Picture yourself 200 feet in the air, hanging by cables, suspended over a waterfall. 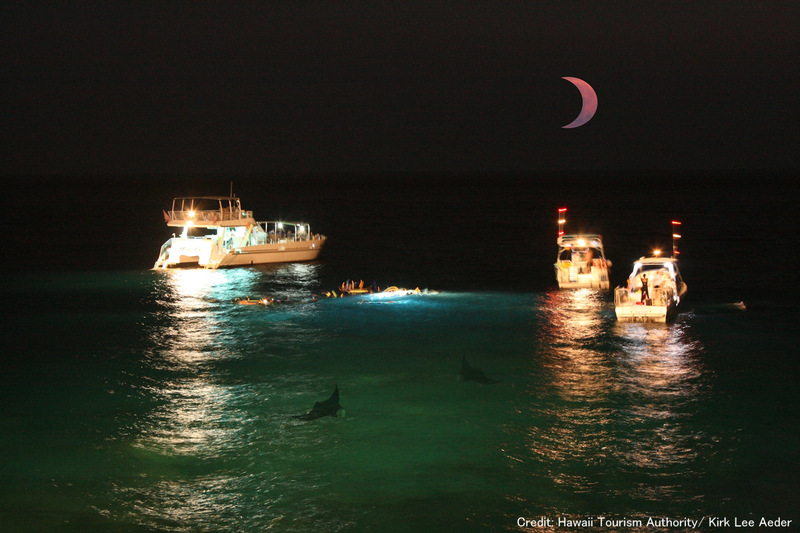 What about a night swim with manta ray? And to think, I had never embraced the idea of Hawaii. Naively, I thought it would be just like the Caribbean and it seemed a long way to go for a beach holiday. I am going on record as saying I was wrong! Thank goodness that chance presented itself in the form of an invitation as part of a tour operator familiarisation trip courtesy of the Hawaiian Tourism Board. Off I went – London to Newark and then Newark to Honolulu – yep, all in one go! We were fortunate to try the new United Airlines Economy Plus and it was very good. The 767 on the second leg was especially roomy and the new in-flight entertainment system, superb. Worth remembering is that even though the 2nd flight was 3 hours longer than the international, it is still a domestic US service and therefore all food and alcoholic beverages must be purchased. I popped for a Mai Tai and sesame noodle salad. A bit pricey at $17.95, but the quality was good. And, when I managed to knock my Mai Tai off my tray and watched $7.00 worth of rum splash down the aisle the crew instantly replaced it without charge. After 17 flying hours flying and a full 24 hours after leaving home, we arrived on the island of Oahu. Driving from Honolulu airport to Waikiki Beach it struck me that this was America but not as I know it. Strip malls, doughnut shops and 7-11s aplenty but also a return to the 1970s. I expected Tom Selleck as Magnum PI to appear around every corner. We arrived at Waikiki Beach just as the sun was going down. The main drag is Kalakaua Avenue and it reminds me of a mini Las Vegas strip without the casinos; lots going on and full of bars, shops and restaurants. But this ‘Las Vegas’ is where East meets West and you are soon reminded that to the Japanese, Honolulu is a weekend shopping destination. Asian visitors are not only numerous but they outspend the western traveller at a rate of 2 to 1. Inevitably, given the time change, I was up before sunrise and took my first proper look at Waikiki Beach and the 300,000 year-old volcanic crater that is Diamond Head. The beach was already becoming a surfers’ playground and by 7am was swarming with longboards. Given time and suitable footwear I would have loved to have tackled the hiking trails of Diamond Head and view of Honolulu from the crater. We spent our first day inspecting hotels. One thing is glaringly obvious – you must book an ocean front room or risk major disappointment. As one hotelier eloquently put it “the more green you give us, the more blue we give you!” Rest assured, Bon Voyage won’t let you make the mistake of choosing a car park view rather than the Pacific Ocean. We escaped the frenzy of Waikiki and headed north to the tranquillity of Turtle Bay. Given just enough time to explore the stunning Turtle Bay Resort, glimpse a green sea turtle and the beach that provided the backdrop to the TV drama ‘Lost’ and all of a sudden Oahu had become a different island. The nature of these trips is that there is little time to gather one’s thoughts and before we knew it we were aboard the short flight to Maui. What a contrast. We all let out a collective sigh as we stepped off the plane. 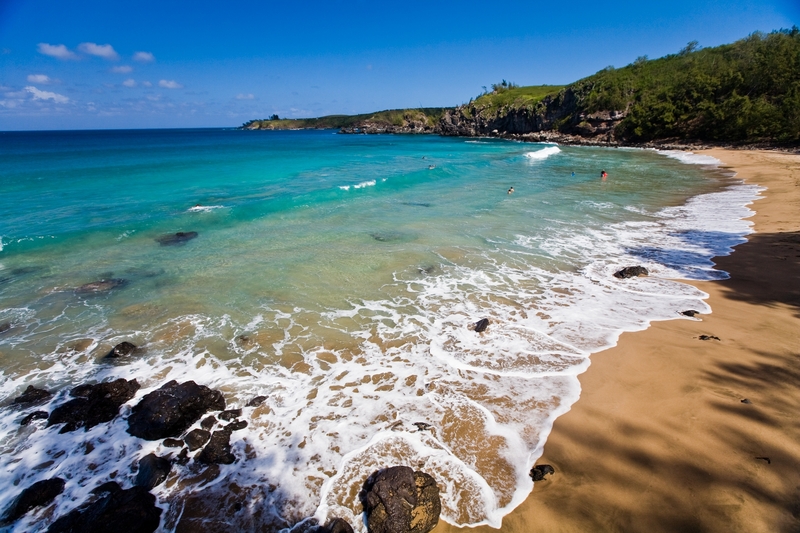 You could instantly tell this island was the antidote to the frenzy of Honolulu. Maui is the older sister, a bit more grown-up and sophisticated, but still laidback and fun. I adored Maui. The people are special, the hotel selection first class, the beaches leave you speechless and the food is delicious. 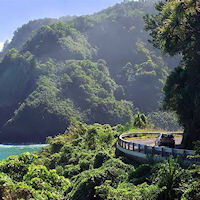 You could easily spend a week on Maui and you definitely need a car. Driving is easy and do pop for a Jeep or a convertible. The two main hotel/beach areas are Wailea/Makena and Kaanapali. When I go back I plan to split my time between the two as each has a different vibe. We experienced our first luau, a traditional Hawaiian party, at the Royal Lahaina Resort. It was fantastic. It may seem a bit of a touristy thing to do, but I can assure you, the Hawaiians performing are doing so from the heart with genuine love and pride of their culture. From Maui we enjoyed a day trip to the tiny island of Lana’i and once again I was blown away by the contrast in landscape. Palm trees were replaced by evergreens and pines bringing back thoughts of my native Northern Wisconsin. This is the island that was purchased by Larry Ellison (CEO of Oracle, the huge tech corporation) and the history is fascinating. Once completely dominated by pineapple production, what happened next is most interesting. The Culture and Heritage Center tells the story and this alone is worth the ferry ride. Plus, it is right next door to Hotel Lana’i which serves the most amazing deep dish chocolate chip cookie. Arriving by sea back into Maui is another reason to make the day trip; the views of the island from the water were spectacular and I have about 55 photos to prove it! Back on land we spent a most enjoyable evening in Lahaina. It’s a sweet, old whaling village, perfect for mooching. And before you know it, we’re off again. 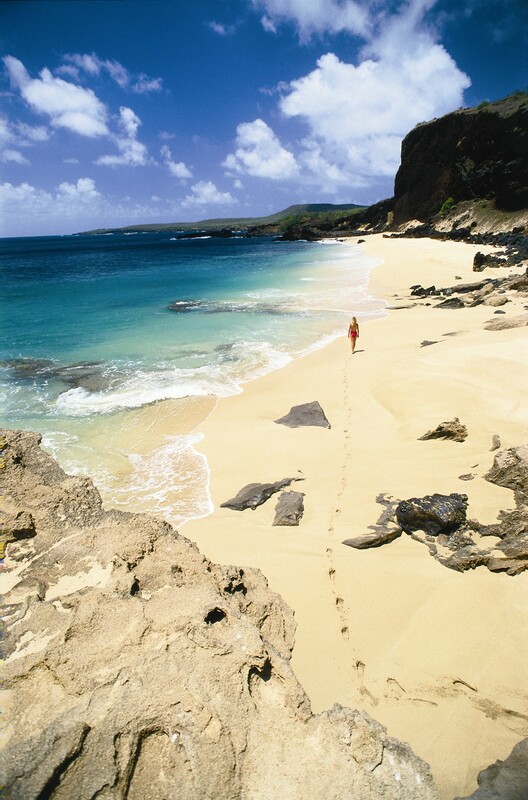 Our next stop – the Big Island or as the Hawaiians prefer to call it, Hawaii Island. I was very keen to see Hawaii Island, but have to admit we had some ‘adventures’ planned that I wouldn’t normally sign up for. We flew into Hilo and proceeded immediately to the first, a helicopter tour of volcanoes and waterfalls. OK, I can handle that. Except do you remember the bit about this being a DOORLESS helicopter? Yes, nothing but that little seatbelt keeping me from getting real close to the lava. After the first ten minutes I start to relax a little and realise I was unlikely to accidentally undo my belt. By then we’ve made it to the Kilauea volcano and I just can’t believe I am flying over an active volcano that only 13 years ago destroyed 181 houses and 9 miles of highway. 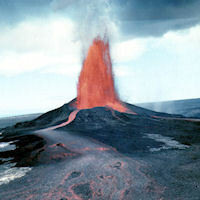 The landscape is dominated by molten lava and feels completely prehistoric. Again, another island totally different from the three we’ve already visited. If that wasn’t enough for one day, next we were whisked off for a spot of zip lining, eight zips in all. Being blonde, it hadn’t really dawned on me that while the first zip line was only about 20 feet off the ground, as you went through the ‘course’ the height increased until eventually you were hundreds of feet up (1,700 to be exact) and by then it was too late to bale out. And yet, I loved it! I still find it hard to believe that I completed the zip course and I owe it all to the crew at Kapohokine Adventures, an inspirational group of people. After five hours of adventure, we headed northwest to Waikoloa and the Hilton Waikoloa Village, our hosts for the night. This place is impressive. With over 1,200 rooms, I thought for sure this wasn’t going to be my cup of tea, but you know, they do it very well. The property is so spread out that you don’t feel on top of anyone. Plus, it is one of the best whale watching spots on the island; the locals told us that February is generally the best month. We enjoyed one night here and then travelled south to Kona and the Sheraton Kona Resort. I’m running out of adjectives now; the setting here was just incredible. It’s right on the sea and surrounded by black volcanic rock. Here, ‘Rays on the Bay’ is Hawaii’s only restaurant built on lava cliffs and most evenings offer a view of the resident manta rays. Definitely make a reservation for one of the fire pit tables. AND, speaking of manta ray….yep, my final adventure, night swimming with these impressive sea creatures. The excursion operator, Fair Wind, provides a first class experience. The crew even make putting on a wet suit in front of a group of one’s fellow swimmers not as cringe-making as it might be. The first suit I was given didn’t stand a chance of getting past my knees, but our guide thought it would. I loved him for that! Anyway, all suited, masked and snorkelled, we jumped into the ocean and held on to a floating line attached to the boat. 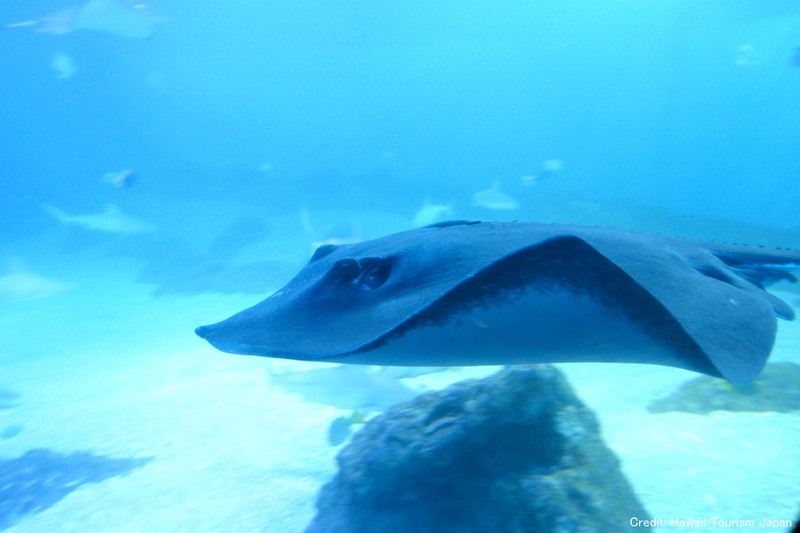 The sea was lit from the bottom which illuminated the plankton, the only thing manta ray eat. They don’t have a stinger or teeth so are, in a word, harmless. Until they come right under you and span about eight feet wide! It is considered good luck if they swim up to you so I expect to win the lottery any minute. I wasn’t the least bit worried, it was all rather calm, except for the screaming of others in my group! They obviously missed the “they have no stinger or teeth” talk. We were in the water for about 40 minutes then headed back. Staying at the Sheraton is perfect for this excursion as we could still see the manta ray for hours, first from ‘Rays on the Bay’ and then from my room balcony. A truly amazing end to my last evening in Hawaii. How can I sum it all up? I am in love. I’m glad I went to Oahu and I am sorry we didn’t get to Pearl Harbour, so I’ll be going back for that. Maui and Big Island are magical and on the list for next year. I plan to spend a full week on Maui and at least 4 nights on Big Island. 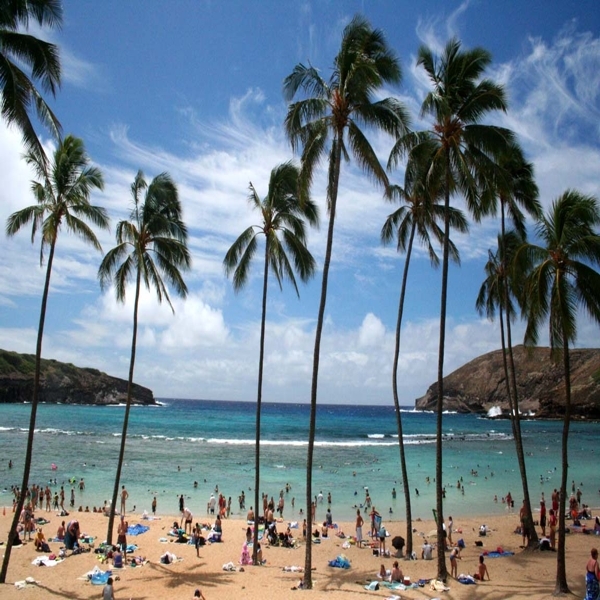 What do you need to know before considering Hawaii? It is going to be more expensive than anywhere else in the USA, but look at a map to remind yourself of where it is! They have to import everything, so staples like food and drink run about 10-15% more than cities like San Francisco and New York. Department store shopping isn’t great value, so make sure to mix this holiday with a great shopping city if that is an important factor. I did fly all in one go which I wasn’t keen on at first. Having now done it, I still think you get more out of a holiday pairing it up with pre and post stops, but if you are keen on spending your full two weeks in Hawaii – go for it! Most of the hotels were built in the 1970’s tourism boom and the exterior views don’t hide the fact. The biggest lesson I learned is that you must look past the façade. The inner beauty of the places and people is there if you are open enough to see it. And, as I mentioned earlier – OCEAN FRONT is a must! It’s a long way and it isn’t a beach holiday in the traditional sense. The Polynesian culture, people and history are fascinating and wanting to learn and immerse yourself is the reason to go. The beaches are just a bonus and form an amazing backdrop. As we boarded the shuttle to take us to the airport it was complete silence and heavy hearts. But, as the Hawaiians say “a hui hou.” Until we meet again. 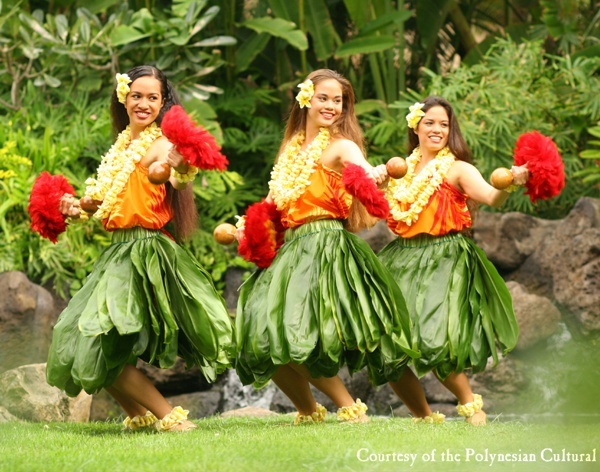 For holidays to Hawaii visit the Bon Voyage website, or call our friendly team of USA travel experts on 0800 316 0194.